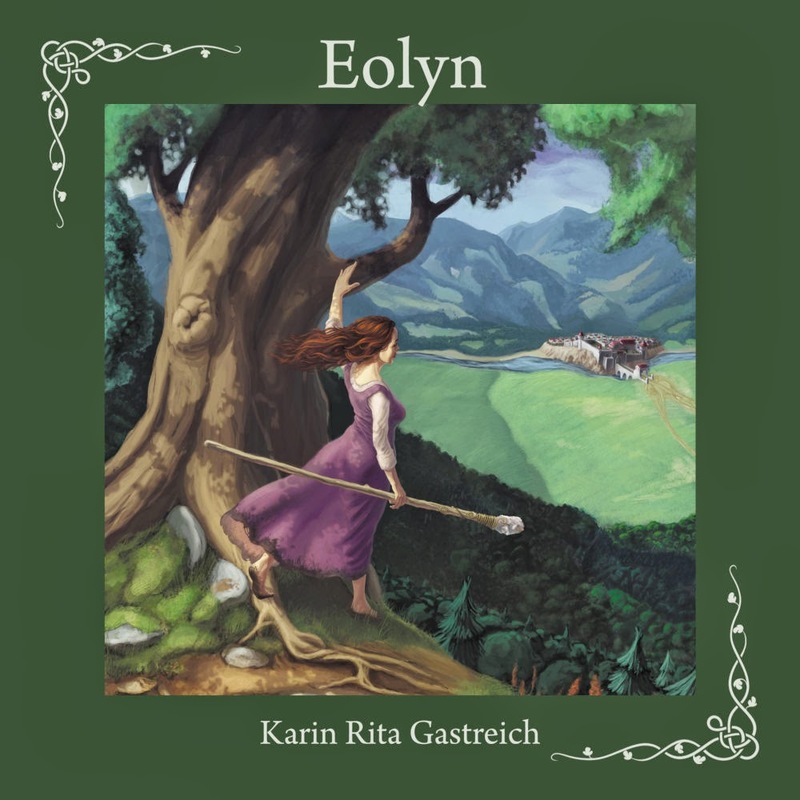 Welcome to our month-long celebration of the release of the audio edition of Eolyn! We have a lot of exciting activities planned over the next four weeks, including author interviews, posts about magic, and previews of Darla Middlebrook’s wonderful interpretation of this epic tale. Best of all, as part of the tour you have the opportunity to win a FREE copy of the audio book! Just sign up for the Rafflecopter Giveaway below, or at any of the stops on the tour. Five copies are being raffled. There are lots of opportunities for entries. The winners will be announced at the end of the tour on August 11. Many thanks to The Magic Appreciation Tour for helping me put together this awesome list of blog stops. Join us for a virtual adventure through the Kingdom of Mosiehén. All are welcome. Enjoy! of the audible edition of Eolyn. Winners will be announced on August 11th. July 14 The Places that Inspired Eolyn’s World: Talamanca. Eolyn’s source of magical power can be found in the South Woods, a dense wilderness inspired by the highlands of Costa Rica. Learn about these forests and why I love them so at DelSheree Gladden’s The Edible Bookshelf. July 16 Author Interview at The Story Teller’s Inn. Join me and fellow author Susan Stuckey for a virtual cup of coffee and a chat about all things magical. July 18 Magic in Eolyn’s World. A full overview of the history and structure of magic in the Kingdom of Moisehén. Join us for a discussion of this and other systems of magic at Daniel Marvello’s The Vaetra Files. July 21 Dragon. Author Lori Fitzgerald’s recent release The Dragon’s Message provides a perfect opportunity to talk about the role of Dragon in Eolyn’s world. Stop by and share your favorite dragon stories, too! July 23 The Origins of Magic. Every young mage and maga learns this story. Now, thanks to a special request by author Matthew Reuter, you will learn it, too! July 25 Author Interview with Heidi Lynne Burke. My second author interview on the tour. Questions about what inspired Eolyn, why an audiobook, and what to expect next from Eolyn’s world. July 28 Aen-lasati: The Magic of Love and Desire. One of my favorite posts about one of the most intriguing yet controversial aspects of Eolyn’s world. Check it out at author Tracy Falbe’s blog, Her Ladyship’s Quest. July 30 The Romantic Leads of Eolyn. A visit to Marsha Moore’s blog Illusions of Intimacy inspires the romantic in me. Learn about the men who compete for Eolyn’s heart — and the readers’ hearts, as well! August 1 Born of Fire: the Ancient Forests of East Selen. The forests of the Pacific Northwest reflect the wild beauty of the home of the Clan of East Selen, an ancient and powerful line of mages and magas. Explore these forests with me on Linda Ulleseit’s blog Books Books Books. Aug 4 Chat at the Independent Bookworm. Author Will Hahn and I kick back for a friendly chat about the ups, downs, ins, and outs of producing an audio book. Bring your questions, and help yourself to the virtual brownies at the back of the room. Aug 8 Author Interview with Eliabeth Hawthorne. My last stop on the tour is a visit with the co-authors of the YA fantasy series Blind Sight. If you’ve got any lingering questions about Eolyn and it’s audio edition, here is your chance to ask them! On August 11, Winners of Amazing Audio Book Tour Giveaway will be announced on this site! Good luck to all our participants.